May is here and with daylight savings well and truly over and winter approaching, the lure of the lakes has diminished. The time to bring Manookatoo closer to home had arrived. For the first week of May the winds were strong each day. 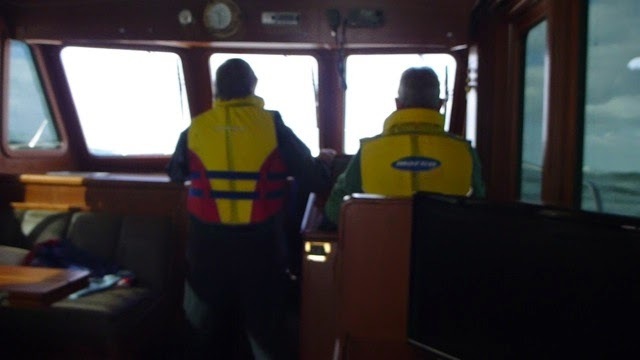 This gave the Captain the opportunity to make sure the boat was completely sea-ready; swapping to the smaller dinghy, which can be fastened to the transom, attaching stronger locks to hatches which could jump open in a bumpy sea, stowing loose objects, etc. Finally, after waiting eight days, the sea conditions appeared promising. 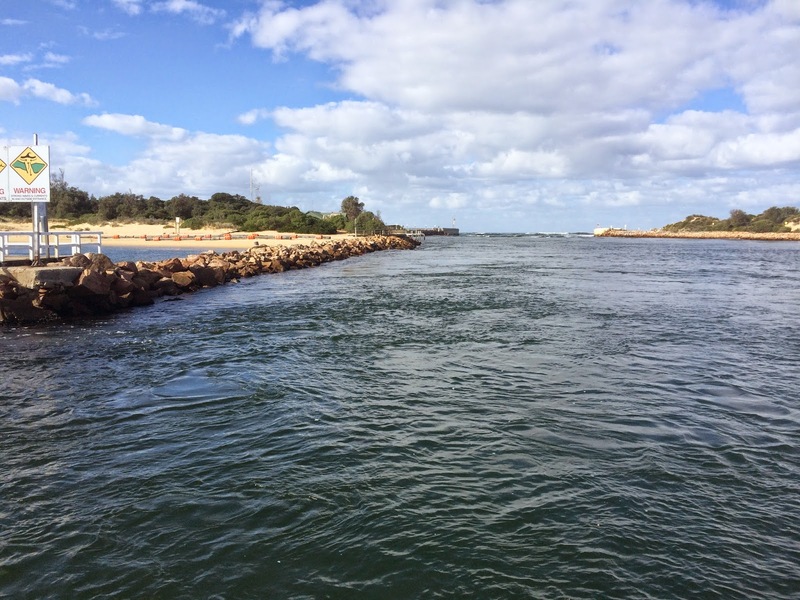 He gathered three seaworthy cronies together and cast off from Lakes Entrance just after 10am on Wednesday morning. Crossing the bar was an "interesting" experience, with 3 metre waves rolling in, but with the throttle fully engaged and life-jackets donned they steamed ahead. Once through, the waves diminished to a rolling swell and they motored west. Taking turns to drive, rest or sleep, they cruised along through the swell - no stopping at Refuge Cove on the way back. 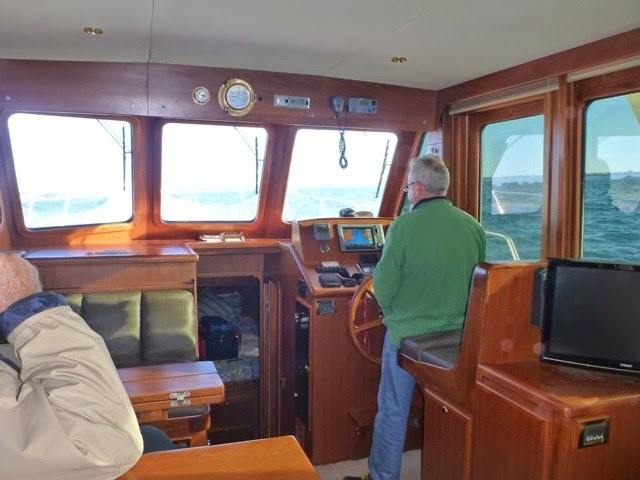 With the radar on they could see any ships in the vicinity and, coupled with the GPS to show the map and Auto Pilot to steer the boat, it becomes a matter of one person being on watch while the others can take it easy. The Captain had prepared a curry earlier for that night's dinner, mindful that cooking is a challenge in the waves, and having a one pot meal accompanied by pre-cooked rice makes food preparation as simple as it can be whilst still being delicious to eat. At about 1am on Thursday Manookatoo rounded Wilsons Promontory and with a turn 90 degrees to the northwest conditions immediately eased. 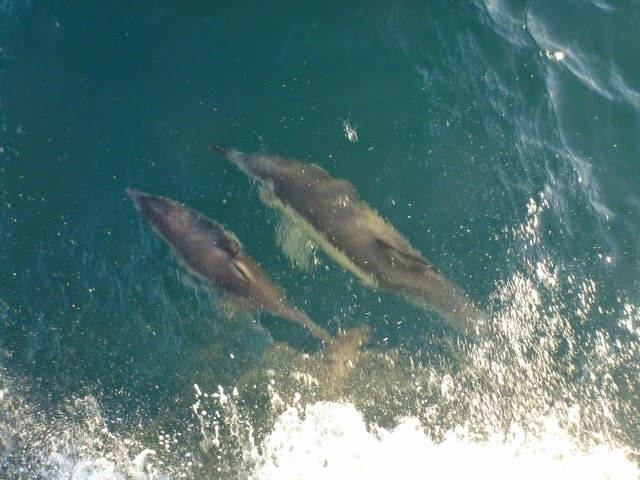 As the night turned to day the sun shone on the passing coastline and dolphins frolicked around the boat. Manookatoo entered the eastern channel to Westernport Bay just before 9.30 on Thursday morning and cruised up past Phillip Island and French Island, stopping at Hastings so that two of the mates could disembark and collect a car, continuing on up to Yaringa Marina and arriving at 1.00 - 27 hours after leaving the Lakes. 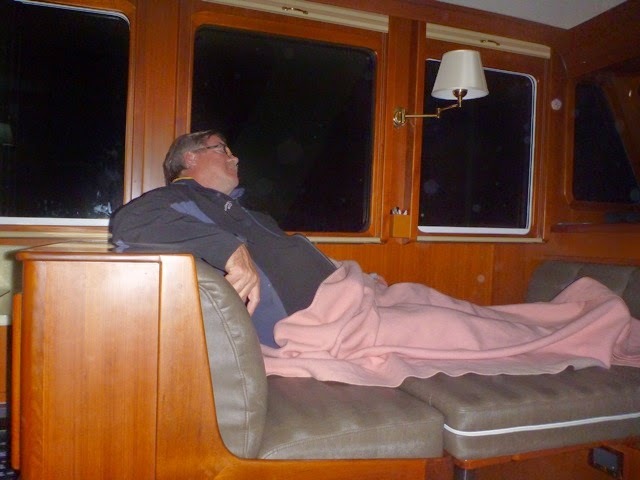 It will be good to have the boat so much closer for winter escapes, but we will also look forward to returning to the lovely Gippsland Lakes when the weather improves again. Seaworthy cronies really! 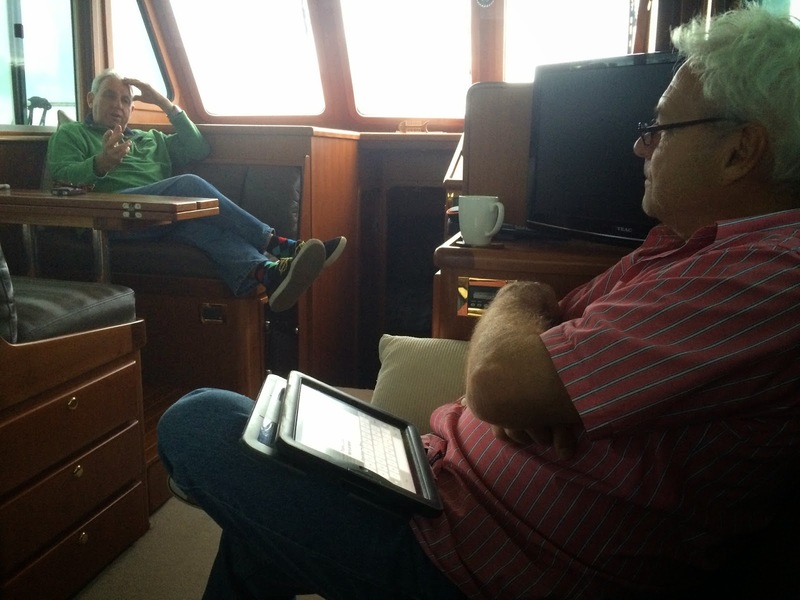 - two of them were sea sick so their sea worthiness must be questioned. I suppose it could have been worse - we could have been called crones?